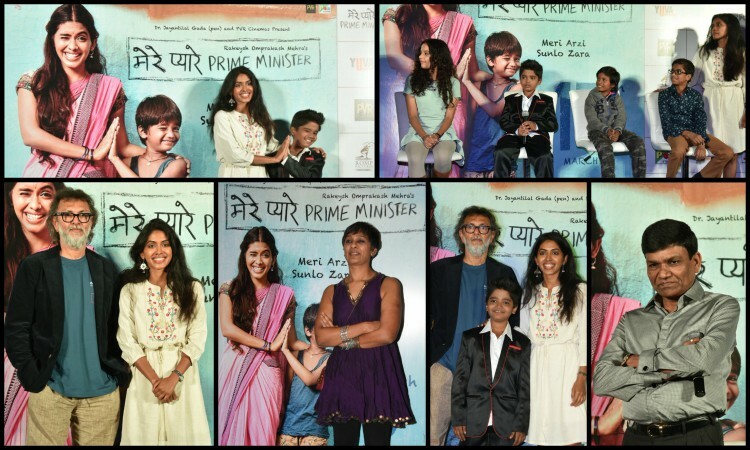 Rakeysh Omprakash Mehra launches 'Mere Pyare PM' trailer! Trailer of Mere Pyare Prime Minister was released yesterday where all the team members including star-cast of the film seen attending the trailer launch event in the suburbs. 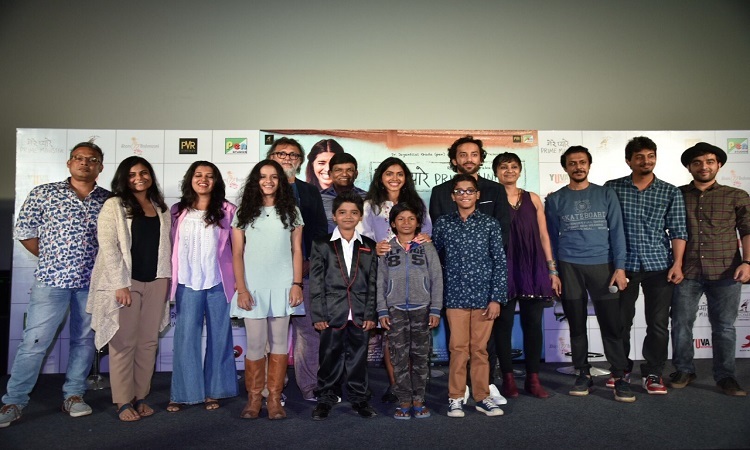 Lead actress and national award winner Anjali Patil, Niteesh Wadhwa, Nachiket Purnapatre, child actor Om Kanojia, Adarsh Bharti, Prasad along with the film's producer P.S. Bharati and Dr. Jayantilal Gada owner of (Pen). Actress Anjali Patil and Niteesh Wadhwa play the love interest in the film and the little Kanhu's character is played by Om Kanojia. The trailer showcases the journey of little Kanhu which embarks to fulfill his dream to build a toilet for his mother's safety, the struggle which goes to the Prime Minister of the nation. It also has shown the real-life problem faced by people who stay in the slum area. The problem of open defecation and sanitation has shown with a realistic touch. The film focus on the issue of open defecation and sanitation problems in the country told through the story of a slum boy who wants to build a toilet for his mother. Starring National award winning actress Anjali Patil, Makarand Deshpande, Rasika Agashe, Sonia Albizuri and Nachiket Purnapatre. The music of the film is given by Shankar Ehsan Loy and lyrics by Gulzar. Dr. Jayantilal Gada (Pen) and PVR Cinemas present, Rakeysh Omprakash Mehra's directorial Mere Pyare Prime Minister, is all set to release on 15th March 2019. A successful attempt to essay a heart-warming mother-son relationship! Mere Pyare Prime Minister was SHOT in Real Slums to keep it AUTHENTIC!